Leek and potato soup. 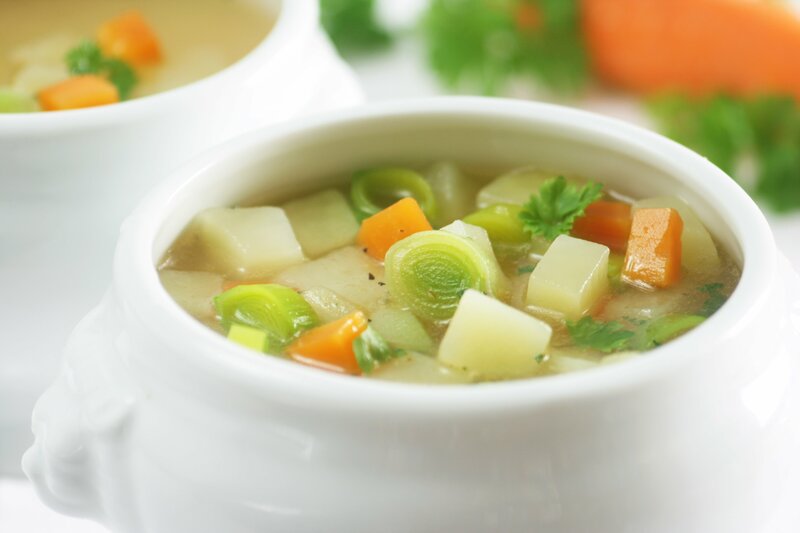 Whether you add the carrots or don’t (they do add a nice pop of color), you just can’t beat this type of soup, especially on a cold and rainy day like the one we’re having here today. These are the days are I just want to stay in, light a fire, and lounge around in my thick, fuzzy socks, watching Christmas movies. And when thinking of what to make for dinner, soup just makes sense. Place leeks, potatoes, and carrots in a large pot. Pour over the broth and water. Bring to a boil then reduce to a simmer. Cook and stir occasionally until vegetables are tender, 20-30 minutes depending on size. Remove from heat and stir in coconut milk. Season to taste with your preferred salt blend and cayenne pepper sauce. Serve warm. **For a less-chunky soup, use an immersion blender or regular blender to bring it to your desired texture.